In this Photoshop tutorial, we'll look at how to create an interesting effect by adding a texture to text. Creating the effect requires nothing more than a photo to use as the texture, a layer mask, a simple image adjustment, and of course, some text! The effect works best when you use a texture that has something to do with the topic of your text, but of course, the final result is up to you. Click the Character and Paragraph palette toggle icon for additional type formatting options. Click inside your document and add your text. Click on the checkmark in the Options Bar to commit the text. All of your text should be on a single type layer. Open the photo you'll be using as the texture. We need to copy the image temporarily on to Photoshop's clipboard, which simply means we're copying it to the computer's memory. Go up to the Select menu at the top of the screen and choose All, or press Ctrl+A (Win) / Command+A (Mac) for the faster keyboard shortcut. Either way selects the entire image, and you'll see a selection outline appear around the edges of the photo. Then go up to the Edit menu and choose Copy, or press Ctrl+C (Win) / Command+C (Mac), to copy the image to the clipboard. Click on the Layer Mask icon at the bottom of the Layers palette. 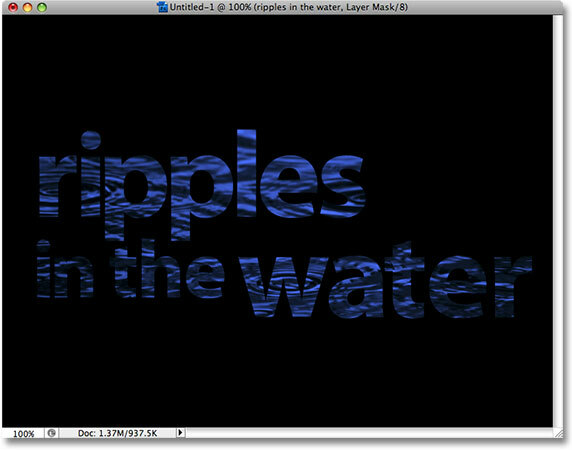 A layer mask thumbnail will appear on the type layer. 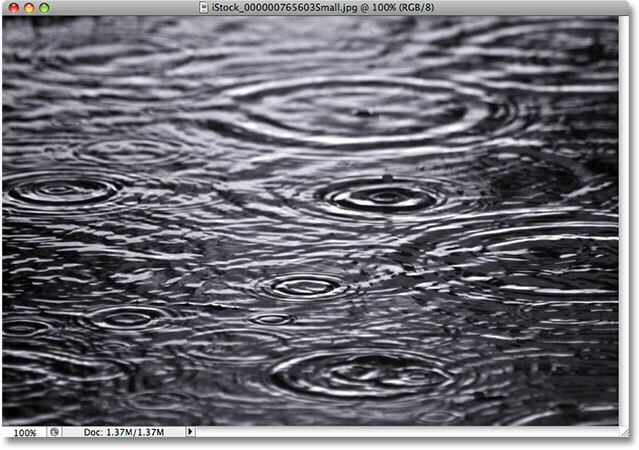 Hold down Alt (Win) / Option (Mac) and click directly on the layer mask thumbnail. 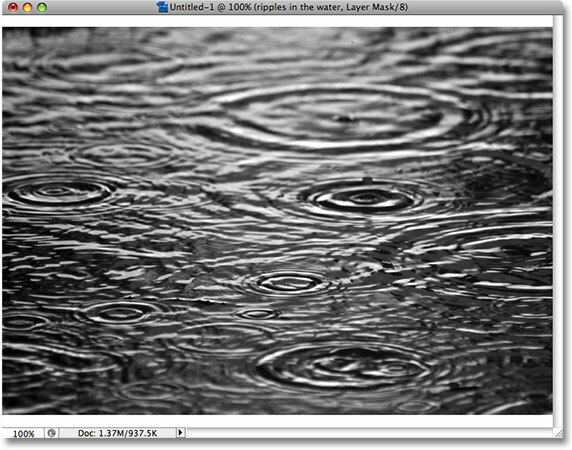 The texture photo appears in black and white inside the layer mask. Hold down Alt (Win) / Option (Mac) and click once again on the layer mask thumbnail. The photo now appears inside the text. To make the image inside the text look less like a photo and more like an interesting texture, we'll use Photoshop's Threshold image adjustment. Photoshop allows us to apply some (but not all) of its image adjustments directly to layer masks, and the Threshold adjustment is one of the ones we can use. The Threshold adjustment takes all of the colors (or shades of a gray) in an image and converts them to either black or white, greatly reducing the amount of detail in the image. With the layer mask selected in the Layers palette, go to Image > Adjustments > Threshold. Areas of text disappear from view as soon as the Threshold adjustment is selected. Dragging the threshold slider left and right affects how much of the text is hidden from view. More of the text is now visible after adjusting the Threshold slider. Click on the link icon to unlink the text from the layer mask, allowing you to move one without moving the other. Use Free Transform to resize or move the texture photo inside the text as needed.